Having trouble keep up with new publications? Try BrowZine on your phone or your desktop! BrowZine is like a virtual newsstand for scholarly journals. It is available both as a desk top application and a mobile application. Almost all the scholarly journals subscribed by the University of Iowa Libraries are available in BrowZine. Staying Current with BrowZine™ (Narration Only Version) from Third Iron on Vimeo. Please find instructions on using BrowZine below. We are also happy to assist you one-one-one. Email us at lib-hardin@uiowa.edu or call (319) 335-9151. Search BrowZine in the app store on iPhone, iPad, Android, or Kindle. Download and install the app. When prompted, search and select “University of Iowa”. Log in with your HawkID and password. You only have to do this once. Now you can search for the journal of your interest or just browse. When you try to add a journal to My Bookshelf for the first time, you’ll be prompted to create a BrowZine account to log in. 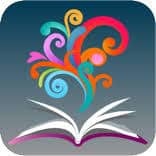 Having a BrowZine account is optional butwill allow seamless synchronization of My Bookshelf across all devices and the web version. Having a BrowZine account is optional but it will allow seamless synchronization of My Bookshelf across all devices and the web version.